Rue Mapp sees nature as a vehicle to help African Americans address the violence in their past and present. 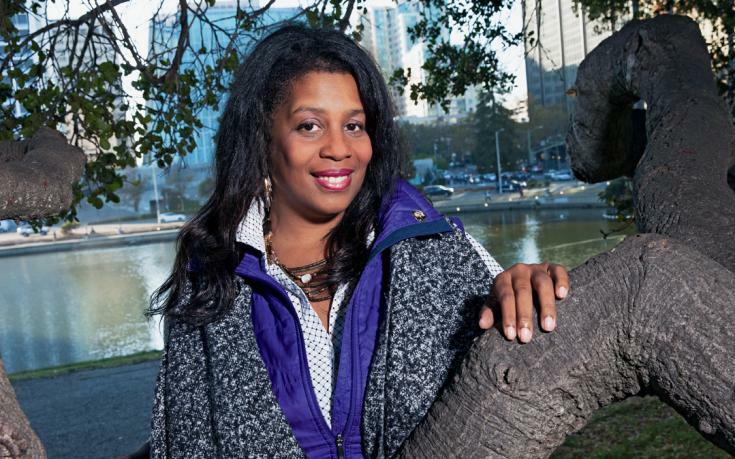 Growing up in Oakland, California, Rue Mapp learned to love the outdoors. She was an avid Girl Scout, and she spent her summers roaming the family ranch in nearby Lake County. As an adult, Mapp enthusiastically went on camping, hiking, and backpacking trips, but lamented that she was invariably the sole African American in the group. So in 2009 she founded Outdoor Afro, an organization dedicated to connecting African Americans to nature. Today, Outdoor Afro has 18,000 members in 28 states and more than 60 leaders who organize trips ranging from group bike rides to multiday treks. Last October, six members “blackpacked” the 40-mile Maryland portion of the Appalachian Trail in a tribute to Harriet Tubman and the Underground Railroad. Mapp, 45, has met heads of state and traveled the world spreading her message: It’s time to bust the myth that black people don’t like to camp or rough it in the wilderness. In her own quest to unpack this myth, she has had to confront some ugly truths. ← Guardian: The Latest Weapon in the Fight Against Illegal Fishing? Artificial Intelligence.